The trip from Montreux on Lake Geneva up to the summit of rugged Rochers-de-Naye takes less than an hour by cogwheel railway. 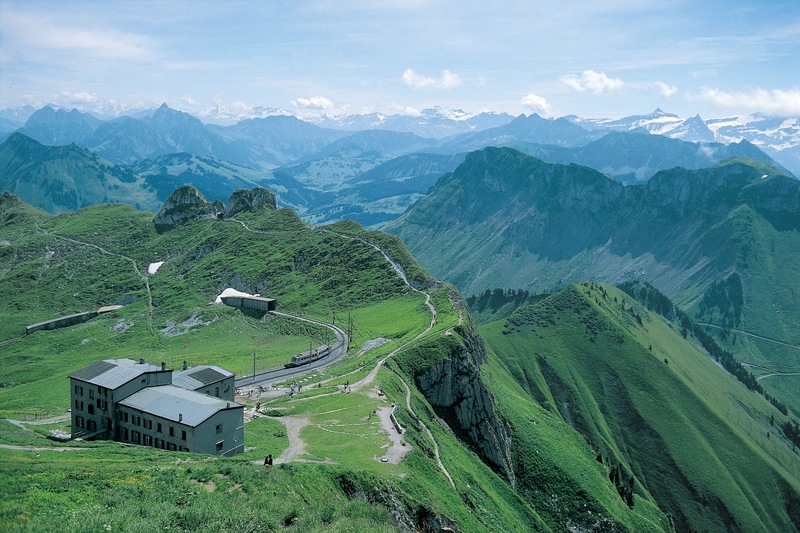 From the 2000-metre summit, panoramic views sweep across the Swiss and French Alps, spanning the Eiger, Mönch and Jungfrau peaks and also Lake Geneva. Other attractions include a colony of marmots from three continents, hundreds of plants from around the world, easy hikes – and overnight accommodation in original Mongolian yurts (nomad-type tents). In December, even Father Christmas resides on the Rochers-de-Naye and receives visitors in his home during the festive season.